I was babysitting yesterday and apparently my niece felt that her baby doll needed to take a nap... in my bed. 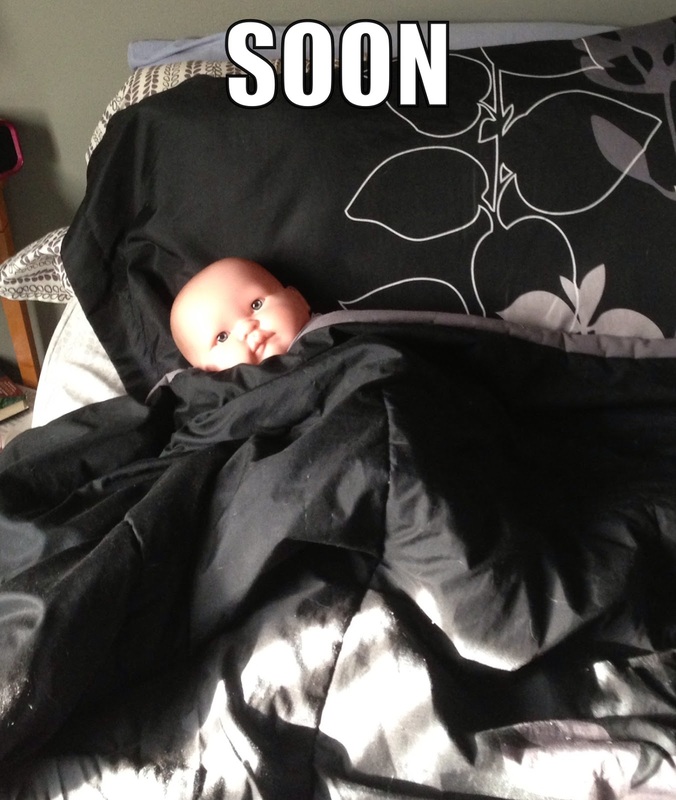 She forgot about it and I was a bit startled when I went in to my room later and looked over to see a baby staring at me. I may have said something like "what the hell?" but I can't remember because it scared me so much my mind blanked for a couple of seconds. I've been slightly afraid of dolls ever since I saw about 2 minutes of Chucky when I was a kid. Don't mock my fears... Chucky was horrifying. So much so that I put all of my dolls in a garbage bag and made my parents hide them in the basement. And that was the end of my wanting to play with dolls ever again. And that was also when I realized my dad was bad at making me feel less scared about stuff like that. I'll have to tell you that story at another time... it's awesome and terrible.